The majority of domestic solar panel arrays in the UK will not need regular heavy duty cleaning thanks to the higher levels of rainfall we receive. In other parts of the world where rainfall levels are lower, build-up of dust and dirt can present more of an issue and panels may need to be cleaned more often to prevent a significant drop in output. Generally in the UK, unless your solar panels have bird droppings on them, you should not need to clean your array. Are solar panels effected by bird droppings? There’s no doubt that clean solar panels will always perform better. But bird droppings are more likely to have an impact on your solar panel’s efficiency than dust and don’t always wash away with regular rainfall. You may have more of a problem with birds if you have a television aerial that hangs over your panels, as they are able to sit on these – right above your panels. Bird droppings, especially in concentrated areas, can cause issues with solar panel efficiency as even a small amount of hard shading can reduce output dramatically. If you are having this problem you will likely need to engage in some solar panel cleaning on a regular basis to remove the build-up and could consider employing cruelty free bird deterrents to prevent it in the future. Do Self-cleaning solar panels exist? 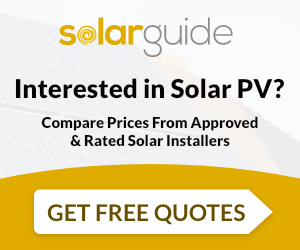 Many solar installers now offer arrays that use self-cleaning panels. These work by using a hydrophobic coating that stops water droplets from sticking to the surface, as the droplets roll off of the panels they also take dirt and dust with them. If you cannot safely access your panels to clean them, do not attempt to get up on your roof. Instead hire a professional who has the correct equipment and knowledge to do so. You should always check with your solar panel manufacturer to see if your panels can be cleaned, without breaking or having an impact on your warranty. Avoid cleaning your panels when the weather is hot, as spraying cold water on very hot panels could potentially cause damage and smudging – instead try to clean them in the morning, evening or on cooler days. Don’t use any abrasive tools or products in case you scratch the glass. You should also avoid using any detergents that could cause streaks on the panels. The best tools for cleaning solar panels are a water fed pole with a soft brush, combined with a squeegee.